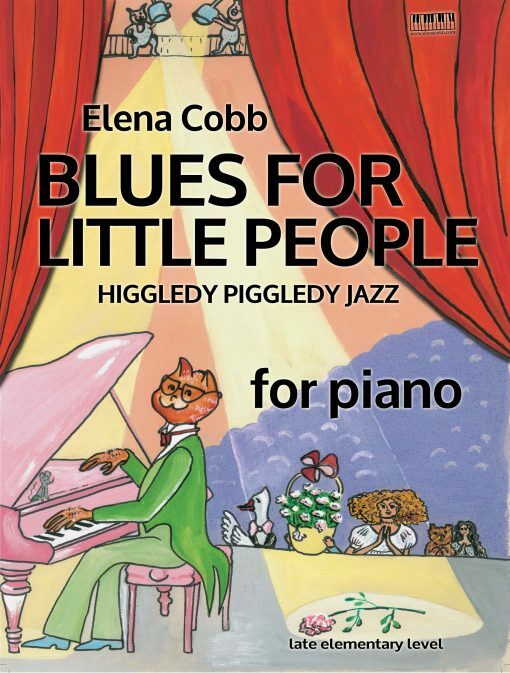 Blues For Little People for piano by Elena Cobb is an exciting Blues tune from Higgledy Piggledy Jazz. Descending walking bass line in the left hand provides a safe environment for exploring the Blues scale on D in the right hand. 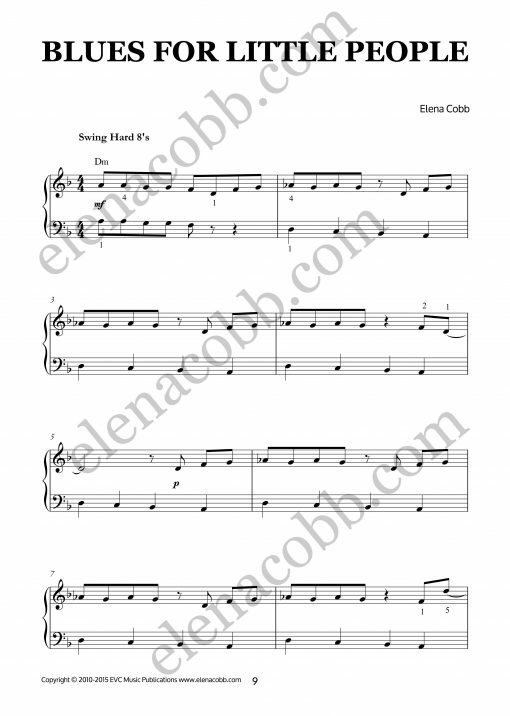 Levels: 2B USA, Grade 1-2 ABRSM, AMEB, RCM. 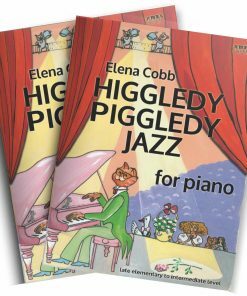 This is such a fun little piece – perfect for a young girl in our beginner performance group. 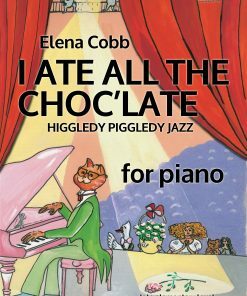 I realized after my purchase that I already have this piece in the Higgledy Piggledy Jazz book, but I love the cover of this so much, it was worth the extra few dollars 🙂 Thanks Elena!! 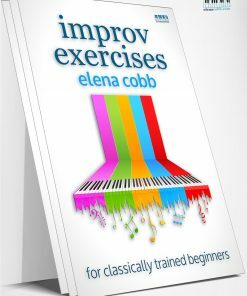 This is a cute little piece; great for an older beginner or a 2nd year student. The piece consists of two sections. 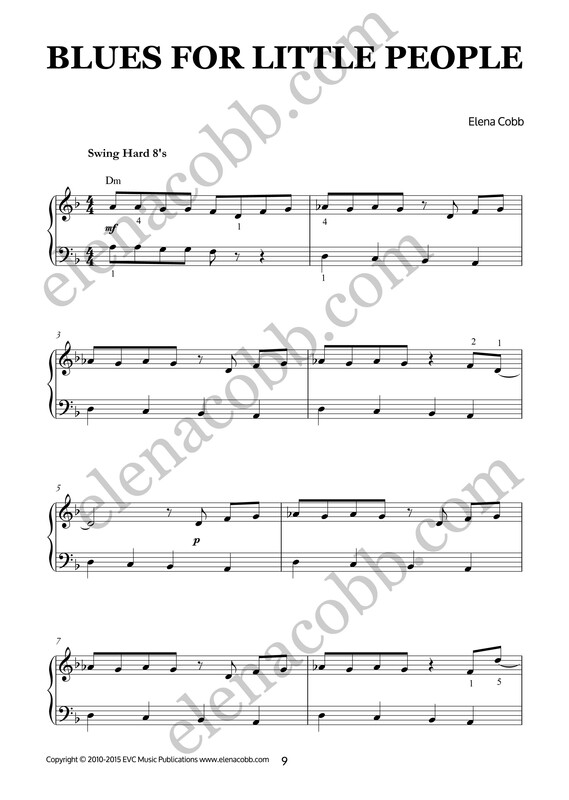 The first section is a blues scale riff for about 8 measures. 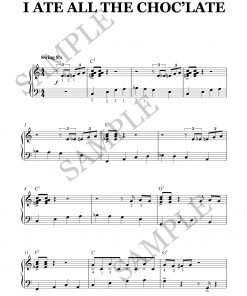 The second half of the piece consists of a descending 5ths sequential pattern. 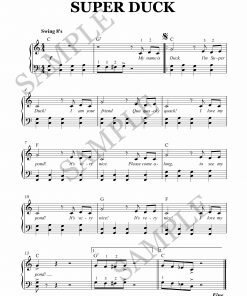 This 2nd section seems like it would be more challenging for a beginner than the 1st half. 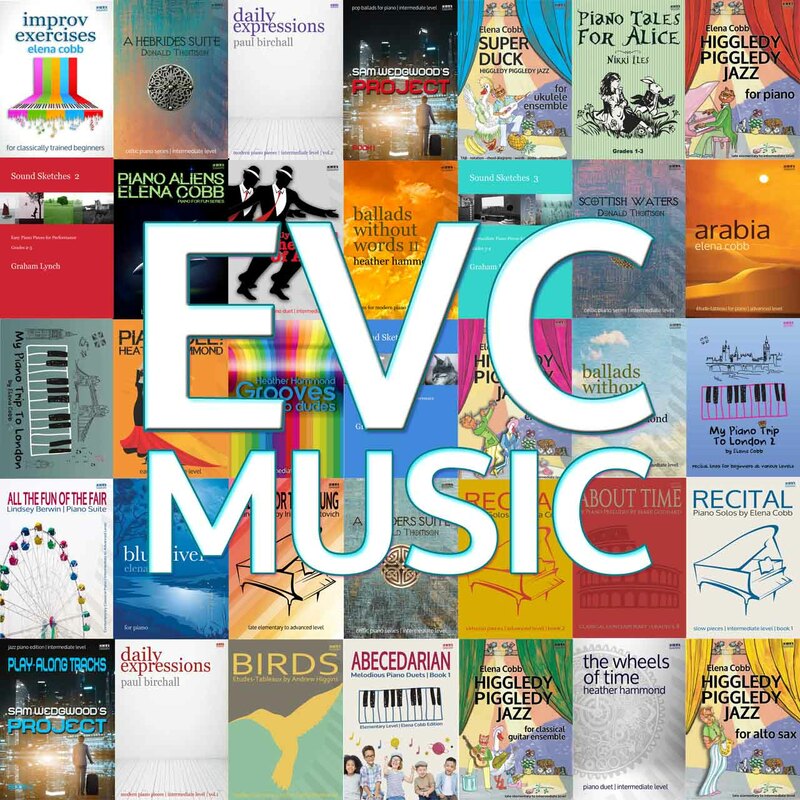 I think that the piece would be appealing for a student and they would find it fun!